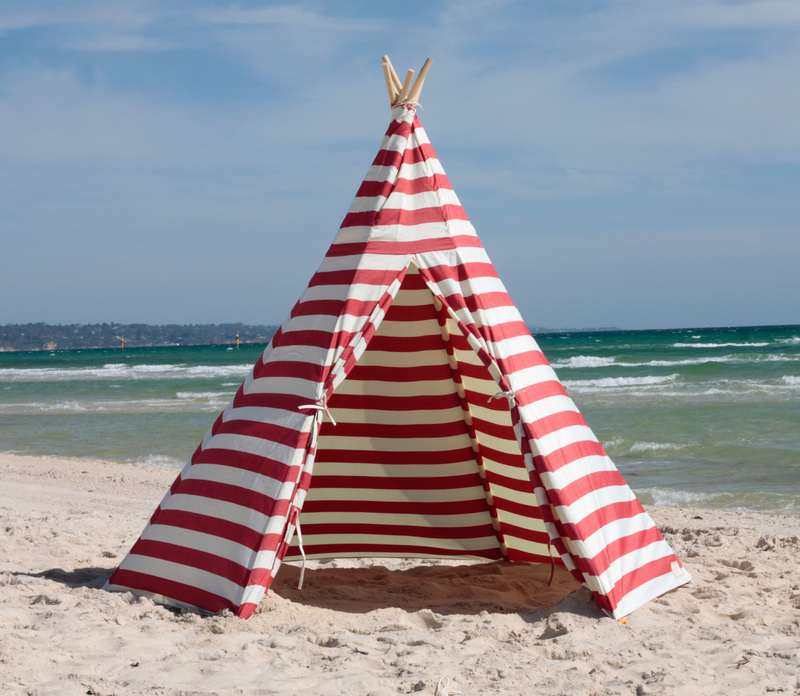 One Foot Island’s striped Tee Pee is perfect for the beach, backyard, park or playroom. UV-proof SPF 30+, lightly waterproof and portable. Goes up in 10 minutes and comes with a free ground-mat. 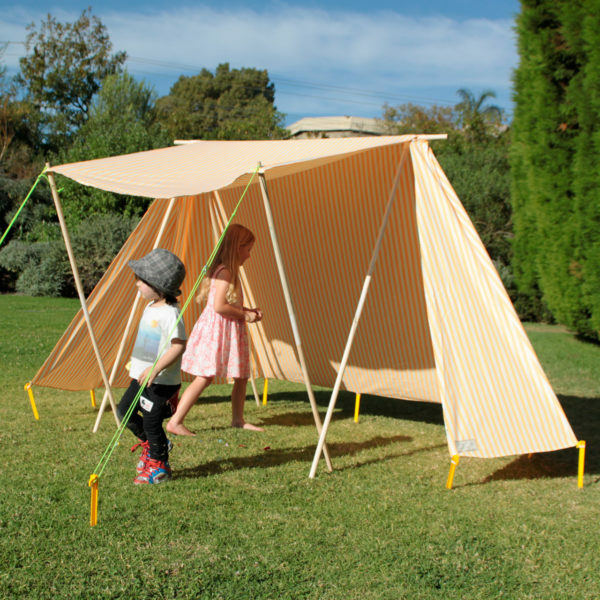 Measuring approx 1.9m high x 2m wide inside, the One Foot Island Tee Pee can comfortably accommodate up to 3 adults. A twist on the traditional design, our fabric and pole looping system makes putting up your Tee Pee a breeze. Steel pegs secure the Tee Pee to the ground. Fabric ties allow you to tie-back the opening or close it for added privacy. Available in Red and Spearmint Green. Did you know? … The tee pee (tipi, tepee) originated among the Native American Indians and traditionally women were in charge of the tee pee. They decided where to put it up, organised taking it down and moving it to the next camp site. 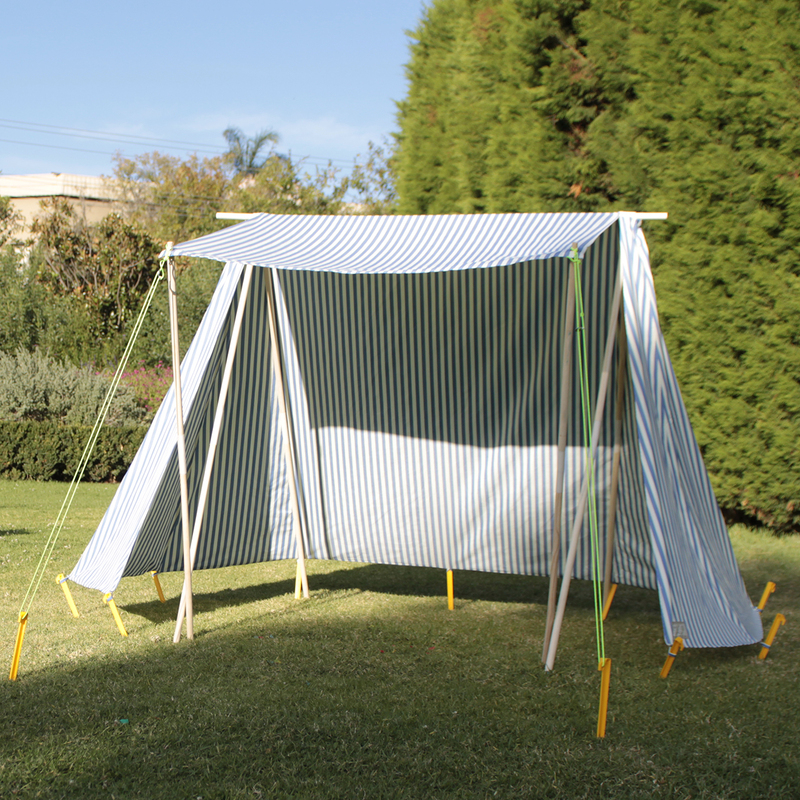 One Foot Island’s striped Sun Tent is spacious and versatile. The front flap provides extra shade and can be positioned at different angles creating more or less shade. 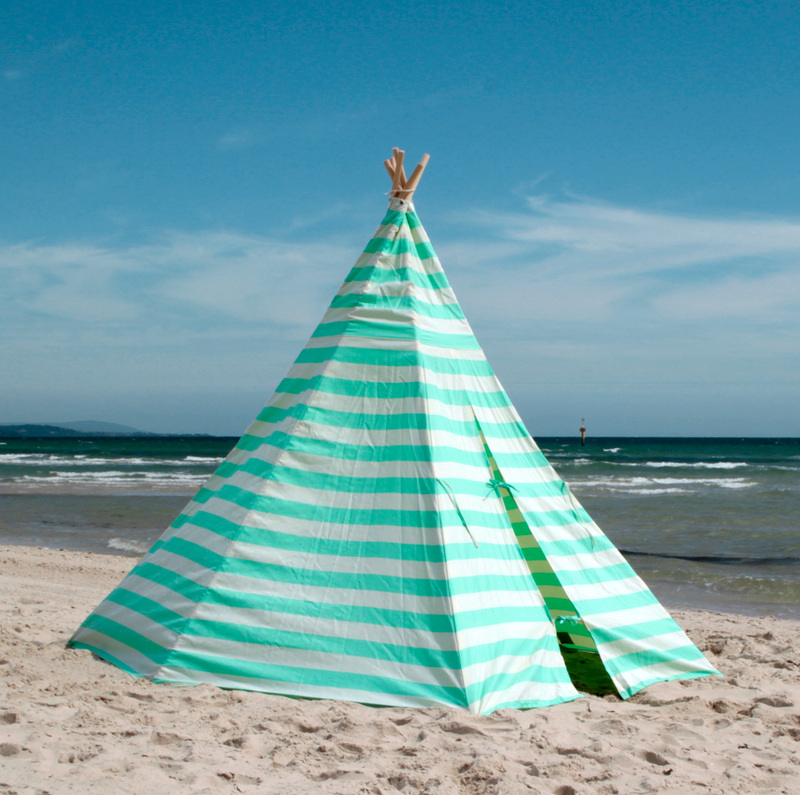 Made for the beach, backyard or park, this clever tent goes up in 15 minutes. UV-proof SPF 30+, lightly waterproof and portable. Available in Blue and Tangerine Orange. Did you know?… Tents have been used since the Dark Ages and different cultures around the world developed their own traditional tents designs. The one thing they all had in common was using a timber-pole frame with supporting ropes. Here at One Foot Island we prefer to stay faithful to that tradition.